While hybrid technology continues to increase in popularity and prevalence, there still aren’t a ton of options out there that also tick the affordable and premium boxes. There a few out there, and we thought we’d see how one of them measures up to the one model on our lineup that ticks all three boxes by pitting the 2018 Toyota Avalon Hybrid vs 2018 Lincoln MKZ Hybrid. 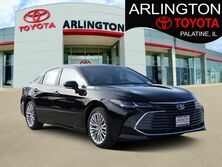 The Toyota Avalon Hybrid made its debut in the 2013 model year, and has steadily been increasing in popularity since then, going through many of the same changes and improvements as the full gas-powered model in addition to gaining the same improvements as other hybrid models on the lineup, making it the best of both worlds. To depict this comparison, we looked at some of the most important specifications and compiled them into the table below. Give it a glance and then read on to an analysis. 14.0 cu. ft. Cargo Capacity 11.1 cu. ft.
As you can see with one look at the table above, these vehicles are quite similar but the Avalon seems to always eke out the victory. In the first row we looked at horsepower, of which the Avalon Hybrid delivers an extra 12 HP. The second row, however, we looked at efficiency and the two models both achieve 40 miles per gallon combined. 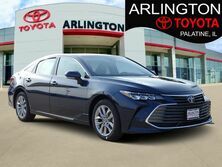 The third row shows another advantage for the Avalon Hybrid as its trunk offers an extra 2.9 cubic feet of space to fill with groceries, luggage, or whatever it is you need to bring with you on the road. But once again, the fourth row is at a stalemate with both sedans offering seats for up to 5. 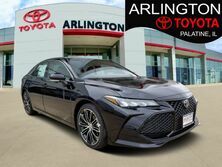 So, as you can see, the two sedans are quite similar but the Avalon Hybrid offers enough advantages to eke out the victory. 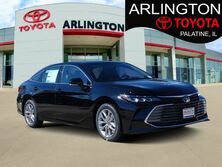 If you’re interested in a 2018 Toyota Avalon Hybrid of your own, be sure to get in touch!